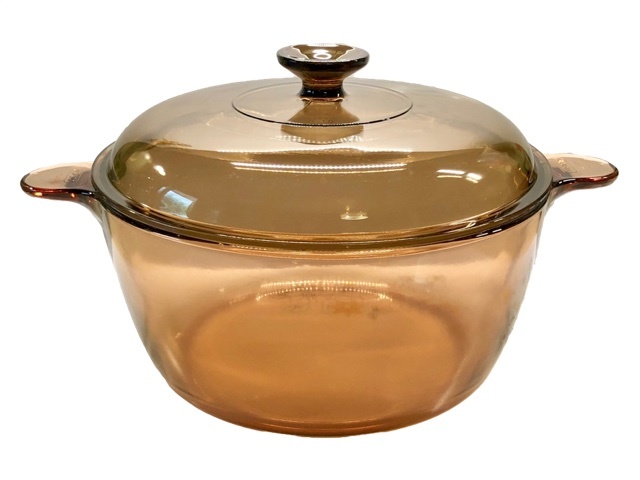 The focus of this guide is on vintage Visions cooking vessels as created by Corning, primarily in France and the USA, and intended for retail in the United States. It will cover production from the late 1970's until approx 2001. Information on select, vintage items sold in international markets will be added as information is found. 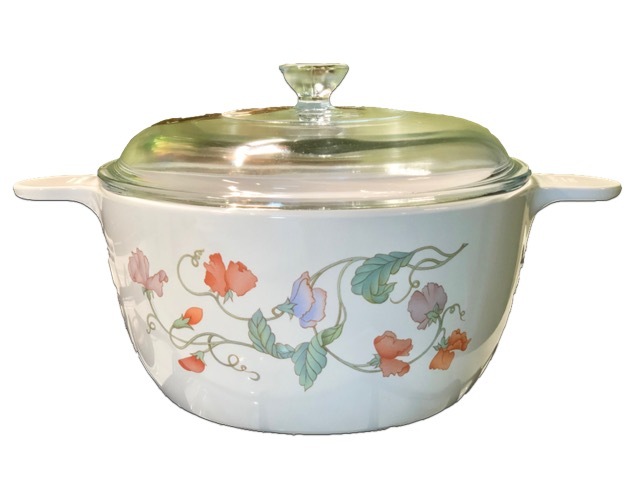 Newer items produced by World Kitchen/Corelle Brands may also eventually be featured. The product grid below is organized partly in chronological order but, also, by labels used to differentiate product lines at introduction. 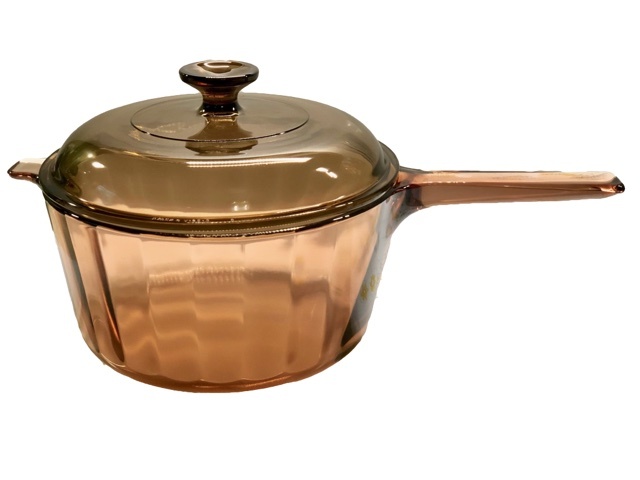 Select an image to view that category of cookware. 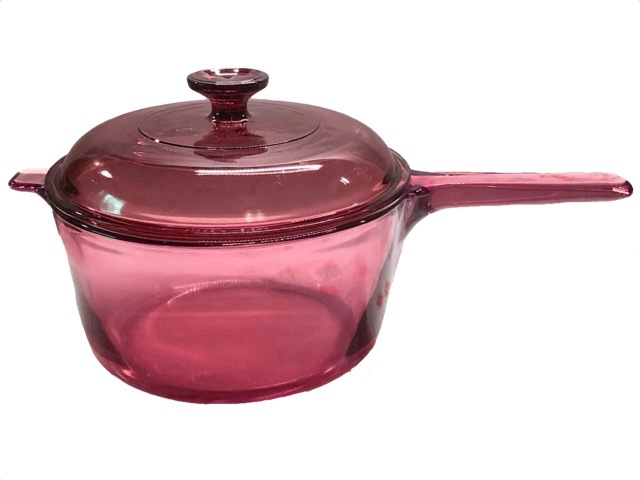 COMING SOON: MORE CRANBERRY, OVEN / MICROWAVE, AND VERSA-POTS! ALSO EUROPEAN 'VISION MICROWAVE', THE 'MILKBOILER', and MORE! Given that VISIONS has been manufactured approximately four decades, a rather expansive set of covers has been produced for the various pieces and model lines over time. 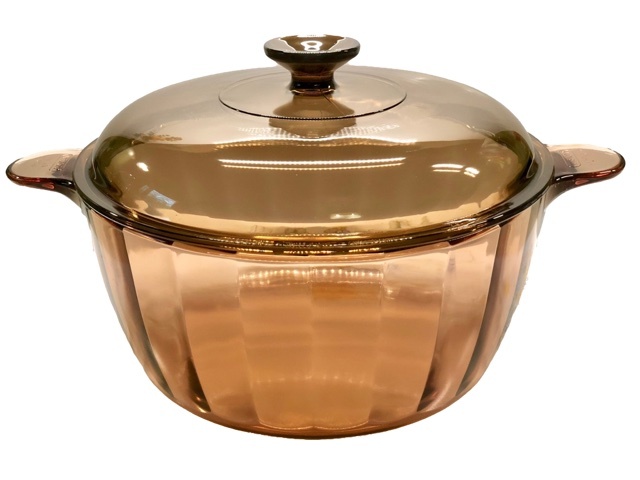 Use this guide to identify which VISIONS cooking vessels will work with a given lid. 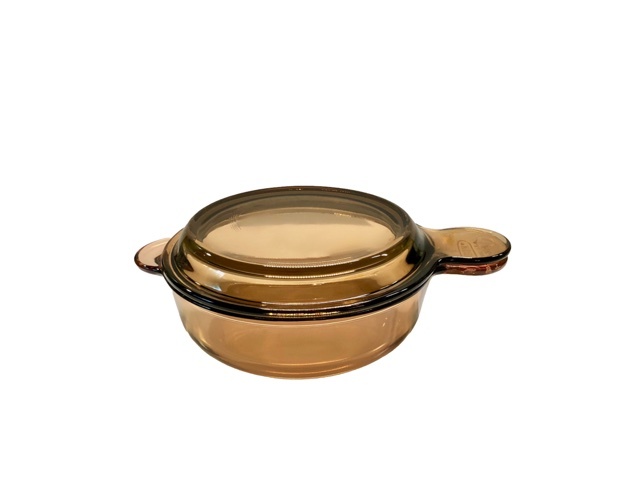 VISIONS cooking vessels will almost always be stamped “VISION”, “VISIONS”, or “CORNING” on the bottom or handle. 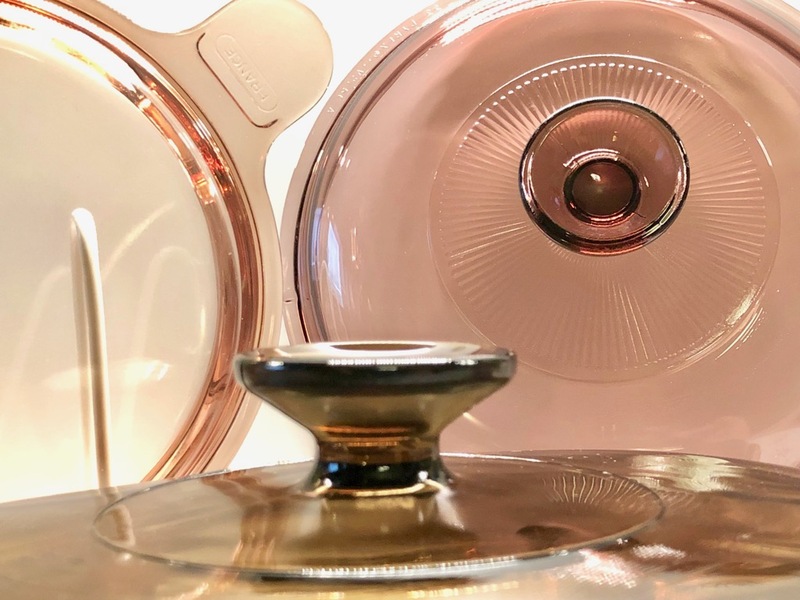 * Every piece is made of the same glass-ceramic and so will NEVER be marked as any other brand (though it may be accompanied by plastic or Pyrex glass covers - see note below). 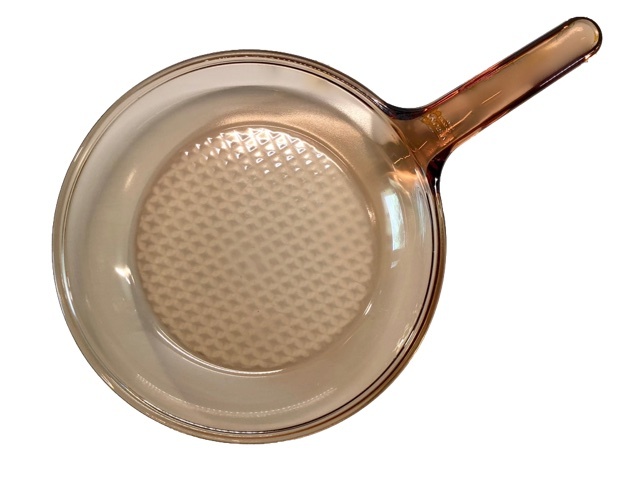 While VISIONS can safely go directly from freezer to under a broiler, other brands made of ordinary glass might crack or shatter and lead to injury. 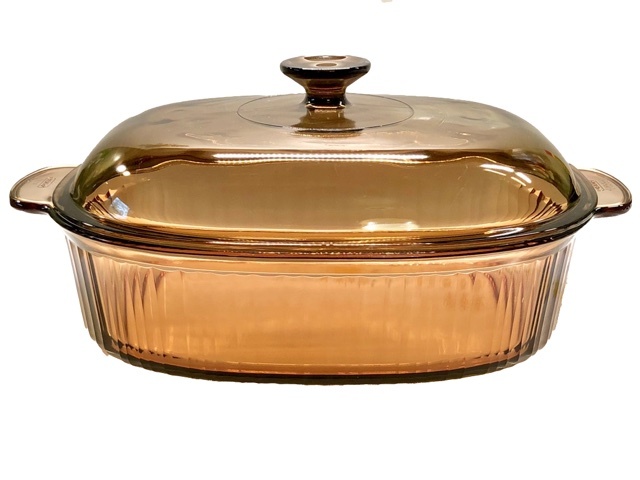 For example; Pyrex glass bakeware has been offered in complimentary Fireside (brown) and Cranberry tinted lines, that resemble VISIONS, in the past. 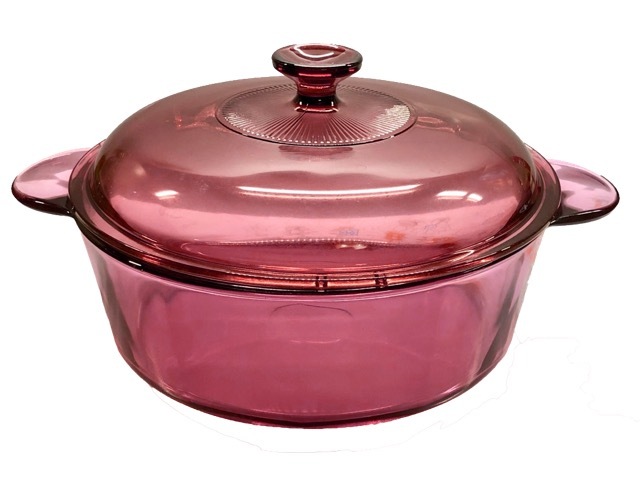 Care must be made to distinguish between VISIONS and Pyrex as the latter is not rangetop safe and, unlike VISIONS, is prone to breaking when exposed to sudden temperature extremes. 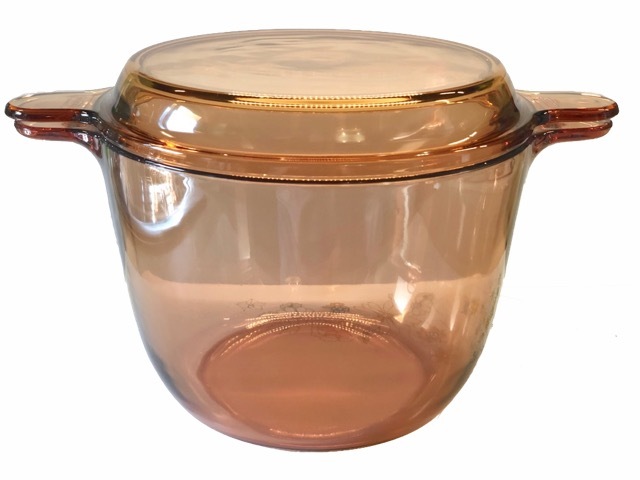 NOTE: Many lids sold with VISIONS in the US are made of Pyrex glass. 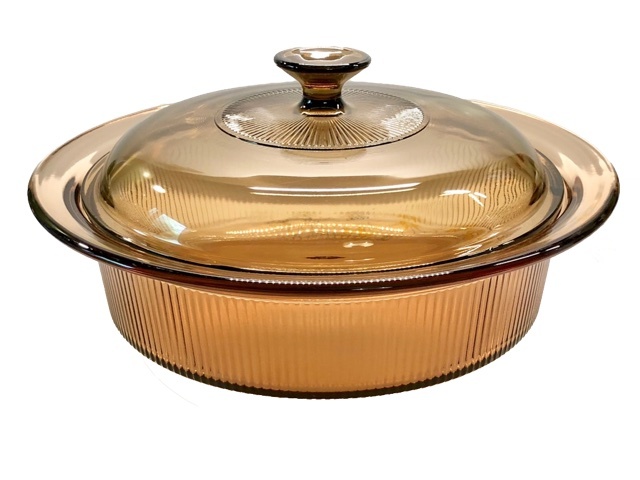 Since Pyrex lids are susceptible to thermal shock, they should not be used under a broiler or browning element. Plastic covers should be used for storage only. *US test-market pieces of VISIONS sold under the “Le CLAIR” brand in 1981-82 may be marked only “FRANCE”. These are rare.